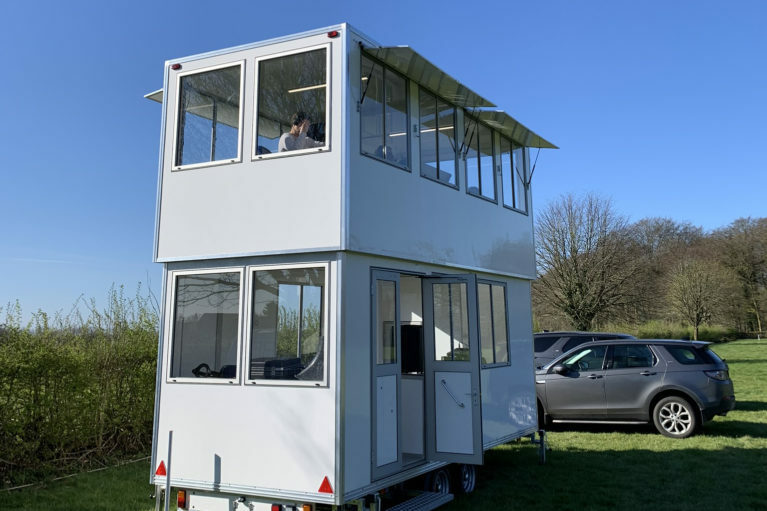 Our DD9 commentary unit is a twin-axle, two-tier commentary box trailer with 360-degree visibility upstairs through all-round windows. Upstairs is fitted with 240V sockets, microphone inputs, telephone points, and strip lighting. Downstairs offers front- and rear-facing windows with work bench down one side and across the rear. The downstairs is also fitted with with 240V sockets, microphone inputs, telephone points, and strip lighting. This unit is ideal for an event control unit, mobile office or any commentary position that requires height and all-round vision.